This state-of-the-art blend is ahead of the curve in innovation and taste, containing a host of evidence-based, scientifically proven ingredients to provide that cutting edge to your workouts! 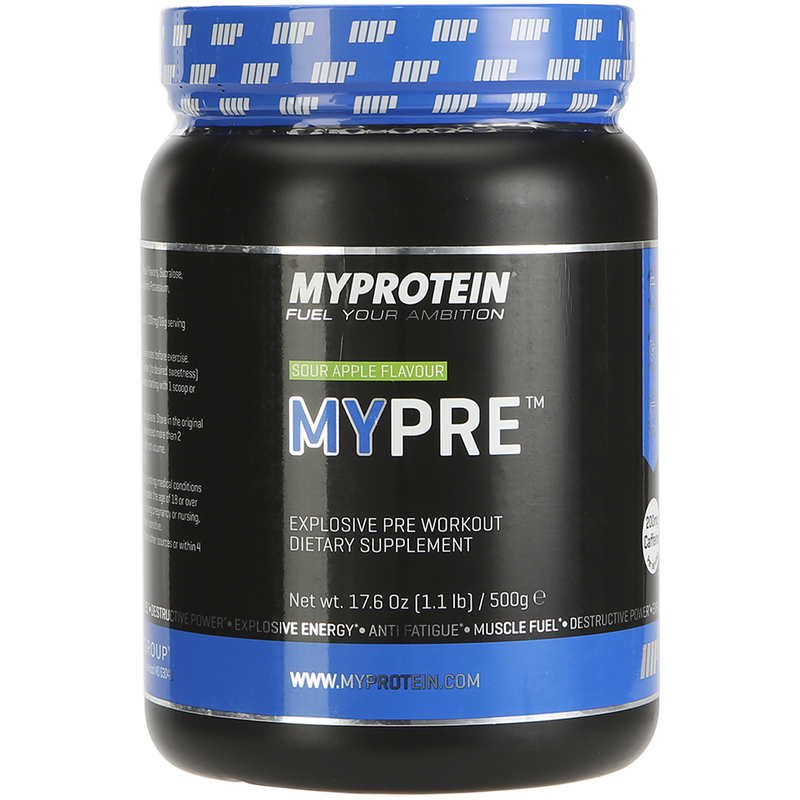 If you're searching for a boost of energy and continual focus to help you squeeze out those last reps or run that extra mile, then you've certainly come to the right place with MYPRE offering a premium unrivaled formula. To get you mentally and physically prepared before every workout, each serving of Myproteins MYPRE delivers a significant 4g of BCAA's, 400mg of total caffeine, 4g of creatine, 3g of citrulline malate, 3g of Beta-Alanine, 1.3g of arginine, a signature vitamin and mineral blend and several more popular ingredients that work synergistically.